Theresa Wayman may be widely recognised as a vocalist and guitarist in the Californian indie-rock outfit Warpaint, but she has many facets. Wayman is a music nerd, band member, actor, single mother and feminist pop culture icon. Now, under her nickname TT, she’s adding ‘solo artist’ to the list with the album LoveLaws. The Warpaint mythos begins in Eugene, Oregon, where a pre-teen Wayman met Emily Kokal – the band’s other vocalist/guitarist. These besties later travelled together, settling in Los Angeles. Here, Wayman dabbled in acting – cameo-ing in a cult adaptation of Bret Easton Ellis’ The Rules Of Attraction with Ian Somerhalder and Shannyn Sossamon (IMDb credits Wayman as “Food Service Girl”). Wayman and Kokal formed Warpaint in 2004 with Sossamon and her sister Jenny Lee Lindberg. When Sossamon quit, their future looked dim. Wayman joined Vincent Gallo’s ensemble, gigging while pregnant with her son Sirius B. Nonetheless, Warpaint eventually regrouped with new Antipodean drummer Stella Mozgawa. They’ve presented three albums – the last 2016’s upbeat Heads Up. Plus Warpaint have successively toured Australia, supporting Alt-J in December. LoveLaws is also Wayman’s most personal work. She reflects on past relationships while realising a sense of self through a prism of desire, freedom and experience. The break-up song ‘I’ve Been Fine’ could be her response to Blake’s melancholy The Colour In Anything. Still, Wayman has often discussed life as both a rocker and a parent – or, as her bio puts it, “a full-on single soccer mom”. And, on LoveLaws, Wayman’s “unconditional love” for Sirius B, now 12, provides another touchstone. LoveLaws seems to have come out of nowhere. How long have you been working on this? Theresa Wayman: I have been working on it for quite some time, actually, but not really officially – just sort of gathering bits and bobs and learning my process and stuff for years. So I guess, yeah, it’s not like something that just happened overnight at all. I spent a lot of time kind of refining it. I didn’t have to hurry. I didn’t really have the time to fully finish it, so I had to wait. That just allowed me to think about it a lot [Laughs]. But it’s been a while. Short answer: It’s been a while. LoveLaws explores your prismatic life as a creative, a touring musician, a modern woman, and a mother. What did you take away from putting the album together – because I took away a prevailing sense of yearning? TW: Yeah [laughs]. It’s interesting you say that. Maybe I’m always yearning for something. Even if it’s not another person, it’s myself or a sense of peace or happiness…Not that I’m not happy, but life is difficult. We’re always juggling this and that and kind of racing to the finish line, in a certain sense, you know? Like trying to make things happen, make things work. Sometimes it can be a lot – especially being a mother and having a career and then needing things personally and maybe not always having time for that; those things. I guess in my life there is a lot of like, “What is this all about?” and “What are we doing?” and “How do I make this exactly what I want it to be?” So kind of just yearning for a sense of knowing what the heck is going on [Laughs] and how to do it right and all that. But, yeah, I’m a very moody sort of person and so I think I got to put a lot of that mood into this album. Probably every interview I do these days, the tour lifestyle comes up. People are talking about the toll it takes psychologically and on relationships. That’s exacerbated now by the fact that artists have to tour because it’s the primary way they make money over record sales. But how do you feel about it generally at this stage of your career? Would you do less touring if you could? TW: Yeah, I would. I definitely would. It’s hard to say, “Oh, I would do less, just for my own well-being,” because then I think about how great it is to be out in the world and connecting and playing shows. There is a really, really good feeling about that. It’s exciting and all that. To be able to even tour, and be a touring band, I feel really lucky for that. But it definitely takes a toll. I think, with this project, I don’t wanna tour it too much. So many musicians, particularly in the electronic idiom, say that it’s very hard to create music and tour. This idea that everyone’s making music in their hotel rooms – it’s not always viable or conducive to that. You don’t want touring to sap you. TW: Yeah. It’s like, “Well, I wanna keep writing and creating, because that’s going to be more sustainable for me.” It could – and it will – take the project further in the end than it would be to tour, especially now that I’m a little bit older and stuff too. I’ve been leaving and touring a lot for the last seven years and it’s even harder to leave now. It hasn’t gotten easier. Even though my son is older and he’s used to it, it’s actually harder because it’s been years and years of this. It’s like, “Okay, when is this gonna end?” I think the transition to another way of being a musician that makes money – I think that I do need to be on the road less and be writing more. You’ve always talked openly about balancing your life as a musician and a mother. I always feel really awkward asking parenthood questions of women because you feel it’s potentially reductive. But, at the same time, I did wonder how you were managing it. It’s remarkable that you have established quite a complex identity. TW: Yeah, I don’t really know how I do all this… It’s not easy. It’s definitely taken a lot of diligence and persistence to finish this album of mine while also having my son and being in Warpaint – and Warpaint’s very demanding. I just knew that I had to do it, otherwise I would probably be really upset with myself. I guess the need and the desire to do it – or not even desire, just need to do it – made me find a way. I’m finding it hard to figure out how to explain it exactly! But I’ve had to realise how important it is and just do it – no matter what. The last few months have been really kind of stressful and so busy – I’ve had more to do than I’ve ever had in my life – but you just take it step-by-step and then try not to get overwhelmed. But I do have enough time to handle having my son, making sure he’s fulfilled; doing my project; doing Warpaint… There’s definitely enough time in the day, but you just have to be really strategic. It’s been a really big lesson. I think I could actually even do more if I was even more strategic with my time. Maybe people don’t realise how much that we can actually do in our entire lives! MF: Even as part of Warpaint, you have a lot of fans in the electronic community – like SBTRKT. You also were an advisor on James Blake’s Overgrown. But what is your interest in the electronic music field? What were you able to do with this album that maybe you couldn’t in Warpaint? 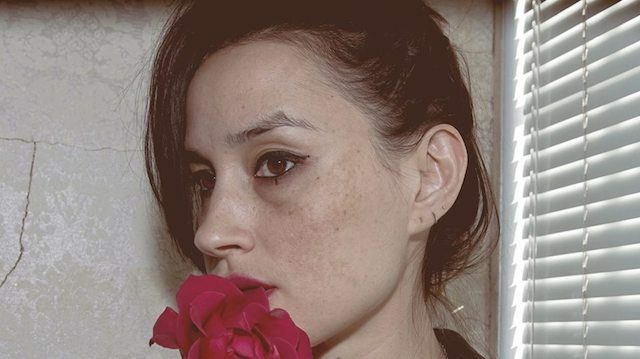 TW: Well, I kind of feel like this album started many years ago when I was a teenager… I mean, at this point Warpaint fans probably don’t wanna hear how much we’ve been influenced by OutKast and Bjork but, to be honest, that really was the first music that ever made me wanna make music. And then listening to Portishead and Massive Attack and music that’s like hip-hop, but it’s different – they’re more soundscapes in a way, more moody sometimes – just kept solidifying that desire. So the way that I made this album is that process [of beatmaking] that I’ve loved for so long. I think I didn’t have to compromise in any way. In Warpaint, I think we go in a few other directions besides that. So I didn’t have to do that. I got to stay true to this sort of way of doing it that I’ve wanted to do for a really long time. MF: You’re touring as Warpaint with Harry Styles. What are the plans for the band? Are you thinking about the next album? TW: Well, we have already started writing little bits here and there. We probably won’t be getting around to writing until [the] end of June or July… So I think in the summer we’ll get real serious about another album. Then we might have a little more touring at the end of the year. It’s weird when your life gets mapped out. Time just flies by, because you know what to expect from every month. It’s already there. It’s like, if you can see it in front of you, you’ve already done it in some way (laughs). Yeah, we’re gonna be writing.